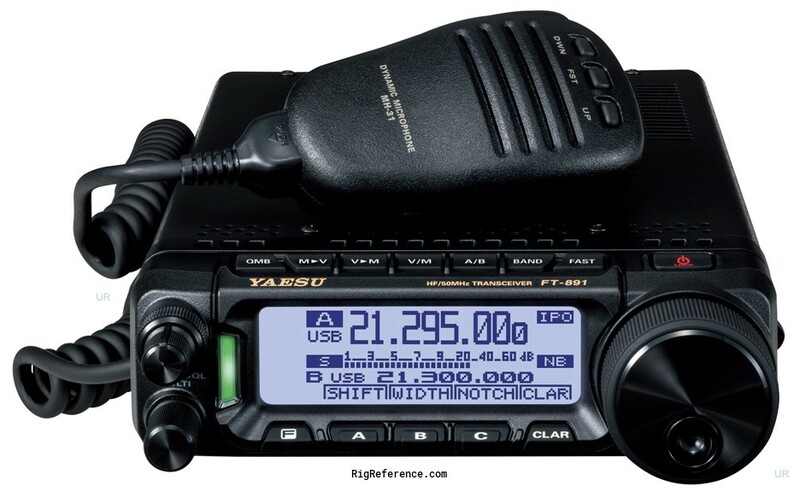 The Yaesu FT-891 is a compact HF transceiver designed for mobile and desktop use and delivers up to 100 W. High-end 32-Bit floating point DSP (Digital Signal Processing) helps provide cleaner, clearer signals, enhances operating experience and reducing overall operator fatigue. On the rear is a SO-239 antenna jack and 13.8 V DC socket. An external PSU is required. The specified receive current of 2 A is an absolute worst case scenario. Real-world tests have shown the figure to be more in the range of 0.9-1.1 amps. Transmit current is also seldom going above 15 A, even when outputting the full 100 W.
Estimating the value of a rig can be challenging. We collect prices paid by real hams over the years to help you estimate the current value of the Yaesu FT-891. Just bought or sold this model? Let us know what you traded it for and help other ham operators!